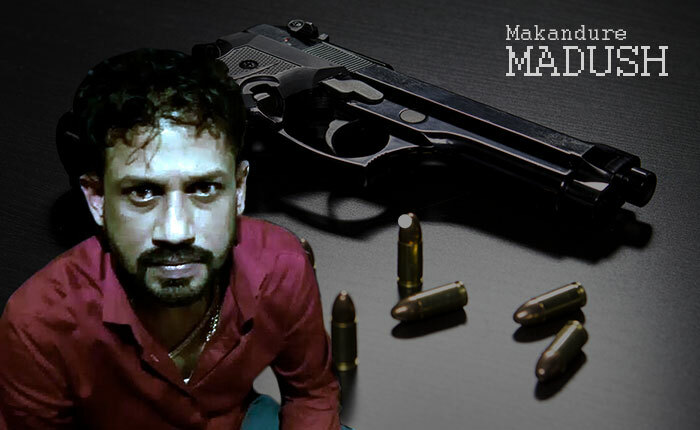 An accomplice of drug lord Makandure Madush named Wedikande Kasun was taken into police custody in a raid conducted by the Mirihana Police Special Crime Investigation Unit yesterday. The suspect is believed to be the main suspect in the robbery of a diamond valued at Rs. 7 billion and other gems which took place in a house in Pannipitiya several months ago. The suspect had reportedly forcibly entered the house with some of his associates under the guise of a policeman and threatened the occupants at gunpoint. He was netted in Wattala on information received from another suspect who was arrested on an earlier occasion by the Mirihana Police Special Crime Investigation Unit. The suspect was identified as Kiriyadurage Kasun Dananjaya alias ‘Wedikande Kasun’ who was a resident of Wedikanda Road, Hunupitiya, Wattala. He is to be produced before the Magistrate’s Court in Gangodawila, Nugegoda today (20) for an identification parade. Very strange almost everday accomplices of Madush are being arrested since his arrest in Dubai. Only now the authorities in Sri Lanka are active, why now.Anyway its not too late, but dont forget the Politicians involved. Madush and accomplices appear to have lost political protection. Anyway, soon a new ‘Madush’ will be born.